Following on the success of TOMBOLO 2016 LOTL returned to Brow Head for the second iteration of TOMBOLO. 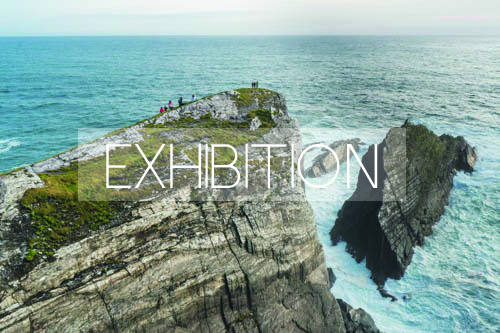 For the month of September eight artists - Emily Robyn Archer, Kari Cahill, Sophie Gough, Hazel Mc Cague, Rosie O'Reilly, Felix Power, Theo Shields and Anna Wylie engaged with the landscape at Brow Head, Mizen Peninsula, West Cork. During the time spent on the tombolo headland they developed and produced site responsive sculptural installations. 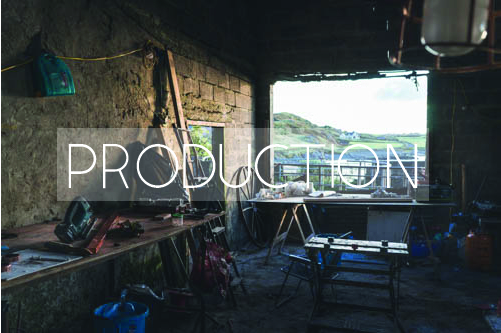 For the culmination of the project the public were invited to journey to the tip of the Mizen Peninsula to experience the site and the works that responded to it. The exhibition was open to the public over the weekends of the 22nd of September and 29th of September 2017. The project was part funding by The Arts Council of Ireland and by Cork County Council and through FundIT's crowdfunding platform. Special thanks to everyone who contributed to the project. Take a look through every part of Tombolo 2017. From production to finished works, to the exhibition weekend. Photographers: Eadaoin Mc Carthy, and Tombolo Artists. A collaborative piece mimicking Marconi’s experimental arial-kite as he embarked on achieving the first transatlantic radio telecommuniactions. Created by Emily Robyn Archer and Theo Shields using reclaimed optimist sails and willow. Spoken work performance by Felix Power drawing from the names scratched into the ruins atop the hill. The narrative used the backdrop of the history of Marconi’s transatlantic telecommunications to juxtapose past and present ideas of authorship. This work fused the natural elements of the landscape with man made interruptions. Sophie Gough approached this fusion with high regard for both the positive and negative effect the manmade world has on nature which led the audience to question their own standpoint as they experience the landscape through the eyes of the artist. Drawing from light and colour studies made during my time on Brow Head I created an elliptical structure from farming posts which sat in the middle of the “steep side of the hill” overlooking the cusp of brow head. The posts highlighted the topography of the terrain underfoot and the shape of the piece invited the audience to wander around it. As they did, they experienced the posts changing colour, mirroring the changing colours of the headland at sunset. The Telescopes superimpose miniature historical vignettes against the dramatic landscape of Brow Head. Acting like a form of Victorian augmented reality, these microcosmic scenes echo stories from the area that may never enter the history books, or when they do, are recorded as fragmented footnotes or soon to be forgotten afterthoughts. Stories referenced by the telescopes include the time David Attenborough visited the area, the local Walsh women bringing the cows home and the occasion when 8 artists gathered on Brow Head. Tairleareachta by Rosie O’Reilly explored the different temporalities of Brow head using the wind. This sculpture installed on the most southern tip of Ireland was designed and built using a basic wind sock model adapted so it would mark a plywood base with stone over 10 days. O’Reilly was interested in creating a work that would be activated by the wind on the headland and physically map it's movement over a fixed period of time. On the headland we heard the wind as sounds along wires, through foliage or hitting the old buildings - could we ever really hear it or see it? Two Stowaways memorialises another brief footnote in the history books - that of two unnamed stowaways lost in a shipwreck off the coast of Brow Head. Framing Fastnet Rock lighthouse, the telescope, created by Felix Power, features the silhouettes of the mysterious souls who, against the conventional current of emigration, travelled from the New World to the Old - only to falter at the last hurdle and sink into the realms of a passing mention, a brief comment hidden under the weight of lost cargos and valuable merchandise. A periscope planted into a deep ravine in the landscape by Anna Wylie. The periscope allowed the viewer to explore the 360 panorama of the site. transported by boat to surface English Roads, this piece highlighted the journey of the industry of the site. A copper ladder emerges from the old copper mines situated at the westerly tip of the headland. The piece by Hazel Mc Cague harks back to the industry of copper mining in the area. This piece was created collaboratively by Anna Wylie and Emily Robyn Archer. The simple frame loom was set up on the shore of Galley Cove for the duration of the exhibition. The piece aimed to draw the audience’s attention to the accumulation of plastics, and discarded materials washing up on the beach by inviting them to weave a Tidal Tapestry out of the materials. A Collaboration by Emily Robyn Archer and Hazel Mc Cague, the Kreel is a basket used to manually carry rocks, mirroring those used by the copper miners of the last century to carry their heavy loads. Following a natural progression from Tombolo 2016’s Field Maps Emily Robyn Archer created two additional Field Map illustrations illuminating certain aspects of the natural environment. While one focussed on the abundance of seaweed found on nearby beaches, the other depicted the impact our native language has had on our relationship to the landscape. 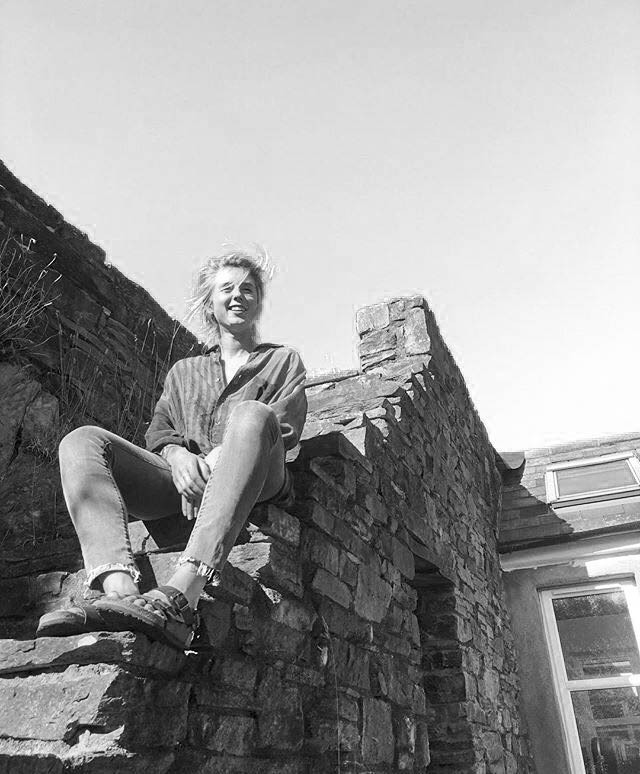 History of Winds is an audio piece by Rosie O Reilly that was installed in a derelict miners cottage on the headland. Wind was recorded for five consecutive days at different GPS co-ordinates on the headland. The individual tracks were manipulated in order to tell the story of a new temporality; to recognise the diverse experience of sound that the headland holds beyond our immediate presence there. Theo Shields is a Welsh artist who lives and works between London and North Wales. At the centre of Shields' interdisciplinary practice are investigations into the changing states of organic matter and its relationship to time and place. His work encompasses sculpture, photography, moving image and installation, practicing as a sculptor in the expanded field. He trained in sculpture at Edinburgh College of Art followed by Queensland College of Art, Australia. In 2016 he became an associate artist at Open School East, an alternative study program specialising in collaboration, public programming and socially engaged practice. Shields’ work responds to the visual and tactile textures of the landscape around him using indigenous materials to create site-responsive sculptural installations. Often in collaboration with others, he refracts a series of dialogues between materials, individuals and traditions through a nuanced lens of tone and texture. Through this, Shields demonstrates how artistic practices can be conscious of what they take from their environmental and cultural surroundings, as well as what they can return to those same sources. Emily fosters an essential connection with the natural world through her life, work and art practice. She is interested in creating artistic responses to the huge environmental issues we face and providing a different lens to view our unique place in nature. Having grown up between Kinsale, County Cork and a remote area of Northern Kenya Emily was struck by the environmental extremes caused by climate change in the developing world and was drawn to a career of creative engagement with our environmental impact. Her current body of work is an inquiry into various cycles in nature that she feels can provide sense of grounding and connectedness in our modern lives so often at odds with the natural world. Emily works with a range materials and mediums including salvaged wood, metal, glass and plastics -building large scale interactive installations. She also works with living plants and self-watering hydroponic systems to create living installations in schools and public spaces. At this moment she is inclined to simple tools and drawing, and is enjoying the freedom of working with natural and found materials from the land around her. Emily is a graduate of the National College of Art & Design in Dublin as well as the School for Social Entrepreneurs Ireland and is the founder of Cre8 Sustainability - a creative agency for environmental education. She currently lives in Dublin. Rosie is visual artist and maker working in the field of instillation art. She holds a BA in Philosophy and sociology from Trinity College Dublin. She is currently completing an MA in Art & Research collaboration at IADT. Specific theoretical areas of research have been in moral philosophy, systems thinking, ecological and social framing. Recent work has included a group performance and publication at IMMA “Rosc: Fiction of the contemporary (2017). in various solo and group shows most recently - NLA III at Museum of Contemporary Art Dublin 2013, 4/704 as part of The Fringe theatre festival Dublin 2013, Science Gallery Dublin (2013, 2014). Her work is also concerned with space specific and action based pieces, which have occurred outside the gallery space; Street art and temporary spaces. She is concerned also with the DIY participatory work and has curated spaces at Dublin Contemporary (2011), Castle Palooza and Electric Picnic (2009 - 2011) all bringing art and design together on live performance pieces. She is founder and director of We Are Islanders – textile art project, Re-dress – better fashion initiative and on the board of Uplift.ie. Felix likes that moment when, in the pitch-black, someone strikes a match and for a second we're blinded by the light from a tiny flame. This same instinct draws him to the darkest corner of a sunlit room and leads him to make art that looks for the contrast between darkness and light. His works are laden with sincerity, compassion and didactic sermonising expertly disguised under blankets of flippant humour and childish vulgarity. He is also driven by a passion for making stuff and since the very first time he made a thing, he hasn't stopped. His favourite materials to use are wood and old objects that are too interesting to throw away but too broken, useless or obscure to do anything else with. Things that he's made include living sculptures made from moss and plants, decorative seating areas at Irish and UK Festivals, a small house, post-apocalyptic weather-vanes and a slightly wobbly table. His recent and current projects include an ever expanding collection of outdoor festival decorations, scrap-metal kinetic installations and an exhibition of pinhole photography at Organico Cafe in Bantry, Co Cork from August until October 2017. Kari has worked in a range of creative fields both as an artist and designer - a combination that has resulted in a diverse practice. She grew up surrounded by the landscapes of Athens, Greece and West Cork. She lived in Dublin for 9 years, and after spending time in India has found herself back in West Cork. An important part of her process is spending time on a specific site considering the impact of the elements and how her work will form around these conditions. Although her sculptural work sees juxtapositions of form + function, her two dimensional work sees a greater emphasis on texture and movement. Her paintings focus on the energy of the landscapes around her. Bright streaks of light, heavy areas of dark and delicate changes in texture can be seen throughout her work. She is one half of the curatorial body Lay of the Land, which aims to drive artists and the experience of art outwards, into the wilderness, forging deeper connection with Ireland’s natural landscape. She believes that by drawing the viewer out of the gallery space, and into alternative spaces, she can create and facilitate the production of art works that engage with the audiences inhabiting those spaces. Sophie Gough’s sculptural practice is influenced by an interest in disrupting the relationships we have with familiar materials which currently focuses specifically on the fusion of concrete and plastic . The basis of her material research is rooted within the recent developments of concrete technology and contemporary writings on the new materialisms . She is curious about this contemporary sense of heightened awareness or self reflection of our interactions with the world . This conscious process is particularly clear to Gough in the case of architecture where we can see a shift in the relationship between architecture and natural forms, taking the land as inspiration. Through her fusion of apparently disparate materials Sophie Gough creates sculptural objects and installations¨ considering that through this illusive antagonism found amidst the built and the natural landscape intimacy may be found. Sophie Gough presently lives and works in Skibbereen, Co .Cork. She is currently an artist in residence at Uillinn West Cork Art Centre . Previous to this she completed a three month residency at the National Sculpture Factory Cork . Anna Wylie has always felt a strong connection and appreciation for the natural environment. Growing up Tasmania gave her a unique opportunity to experience World Heritage wilderness and to be a part of a community which celebrates and relishes that exceptional environment. It was through this community that Anna became politically mobilised, to protect the wilderness that is threatened by commercial and industrial interests. A year spent living in Spain, aged six, and exposure to many different cultures through involvement in migrant communities in Australia gave Anna an interest in other cultures from a young age, and an itch to travel and explore, which has not yet been satisfied. She has spent the past decade intermittently guiding hikes through the Tasmanian wilderness, chipping away at a political science and environmental geography degree and travelling and working around the world. Anna is part of the Earthship Biotecture international crew, building sustainable, off-grid structures out of natural and recycled materials for humanitarian aid and disaster relief. She now lives in London, Ontario, where she and a friend and fellow Earthship representative have registered a non-profit called Building Better, and are working on a number projects to promote and implement sustainable solutions. Behind the scenes photos of how the project came together and the dozens of hands that worked tirelessly to make it all happen. Crashing waves, magnificent rocks, and deep blue ocean. Follow the audience as they amble through the headland onto the tip of Brow Head discovering each work of art along the way. Thanks to Eadaoin McCarthy for capturing the project. 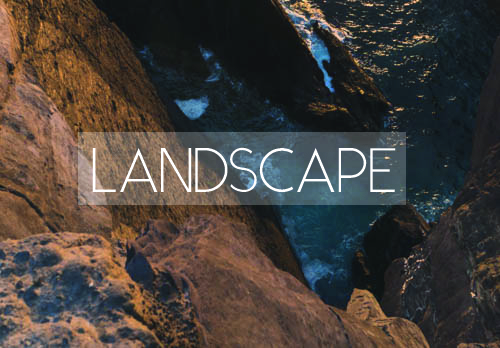 IRISH TIMES - LAND ART: MAKING ART ON THE SCALE OF A LANDSCAPE. TOMBOLO 2017 took place on the tombolo headland at Brow Head, Mizen Peninsula, West Cork. We are extremely grateful to everybody that donated to TOMBOLO 17. We would like to say a huge THANK YOU to everybody who came down and helped, cooked, laughed, ate, climbed fences, took photos, sat around the fire, basked in the September sunlight, and braved the torrential downpour during take down. TOMBOLO 2017 was part funded by the Arts Council of Ireland through their Festival & Events Scheme, and by Cork County Council. Between the funding we received through these grants and the money raised through our generous donors we were able to make the project happen. We are grateful for the generosity of everyone who contributes to this project. There were a couple of folk whose generosity really made an impact to what we were able to achieve.